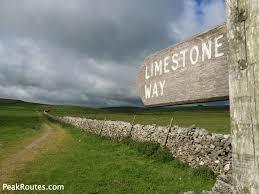 The Limestone Way is classed as a long distance trail so forget sleeping in a tent, we want you to have a relaxing, restful night sleep if you’re walking from Castleton to Monyash. Why not stay here at Endmoor Farm, we have deals that will suit you all. We have a 1 night stay to sleep 4 at only £160.00 or a 1 night stay to sleep 2 for just £120.00. Not only will you enjoy a peaceful night sleep, a simple breakfast that will set you up for the day can be provided at a small charge.